A day of fun awaits you today, get out and play! 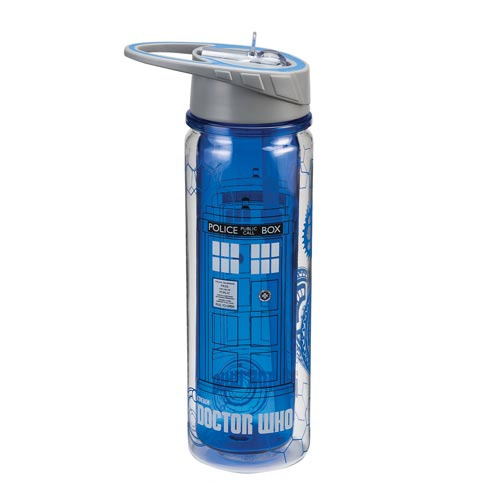 Stay hydrated along the way with this BPA-Free, reusable and recyclable water bottle with bold and bright design of the TARDIS! It looks amazing! Holds up to 18 ounces of liquid. Top Rack dishwasher safe. Do not microwave.